scales (measured in square miles rather than square feet) support the most juvenile fish (high abundance), and the most species of fish (high diversity). 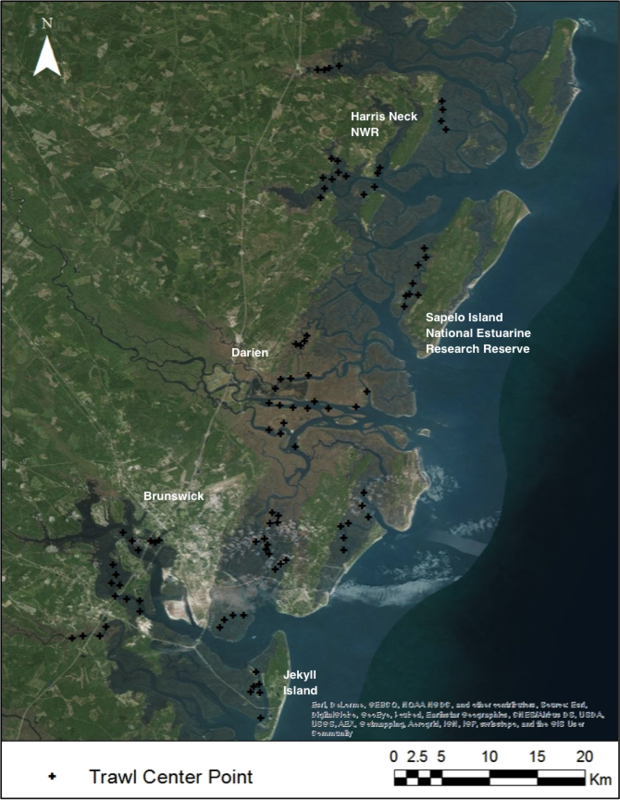 Abundance and diversity are important measures of how healthy a system, like a salt marsh, may be. When diversity is low it may mean the system is unable to support many species. Similarly, when abundance is low, it may mean that the system cannot support many individuals of a species. Why is this important? Check out the Science tab to find out. 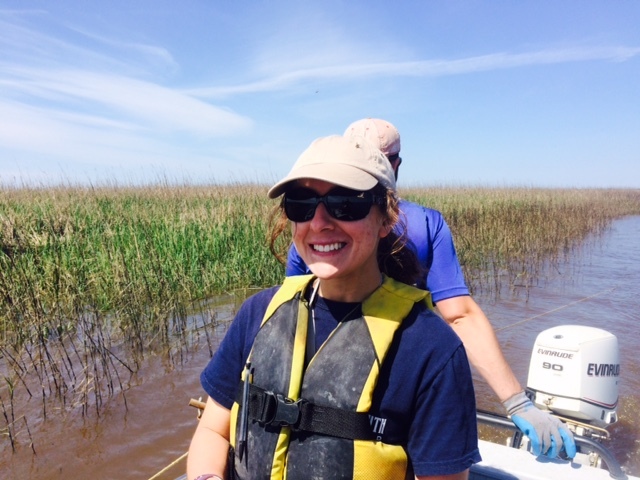 To take measures of species abundance and diversity, and relate them to we must have many samples in different areas of salt marsh where juvenile fish like to hang out. 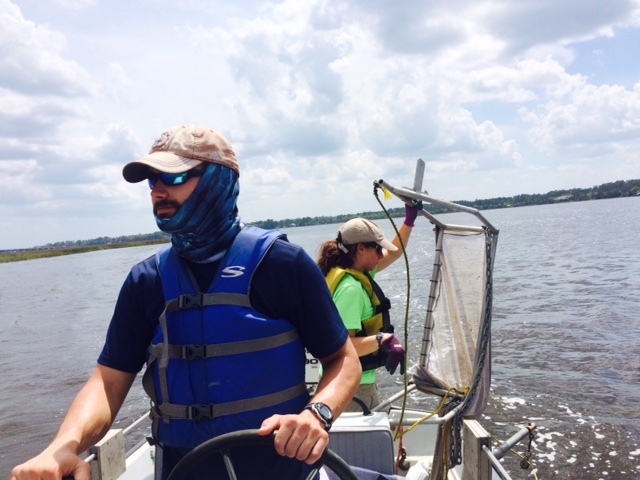 We are using a beam trawl to take these measurements, pulled behind a 17′ Guardian Boston Whaler with a 90 HP engine. This net is pulled behind the boat as close to the marsh edge as possible, where small fish find refuge from predators. 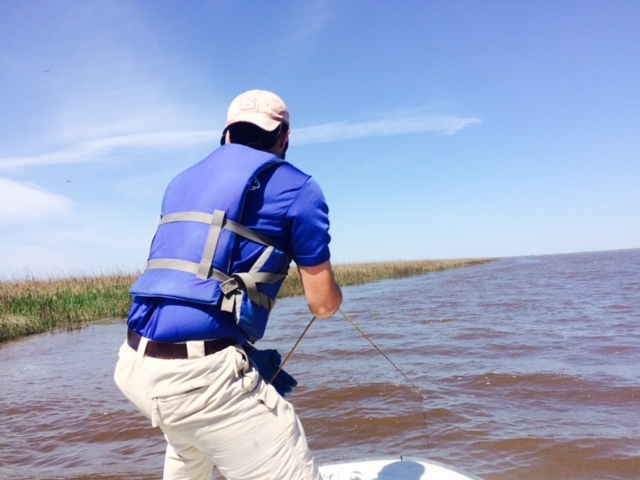 Our trawl sites are located from Harris Neck National Wildlife refuge south to Jekyll Island.